I’ve had this mat for about a year. I’ve used it for about 50 nights, mostly in my Vauxhall Vivaro standard wheel based van. First off, the ‘van mat’ is basically like sleeping on your own mattress at home. It’s comfortable (10 cm thick), warm (an R-value of 9.50), and the Duo version is a cosy two-person size. 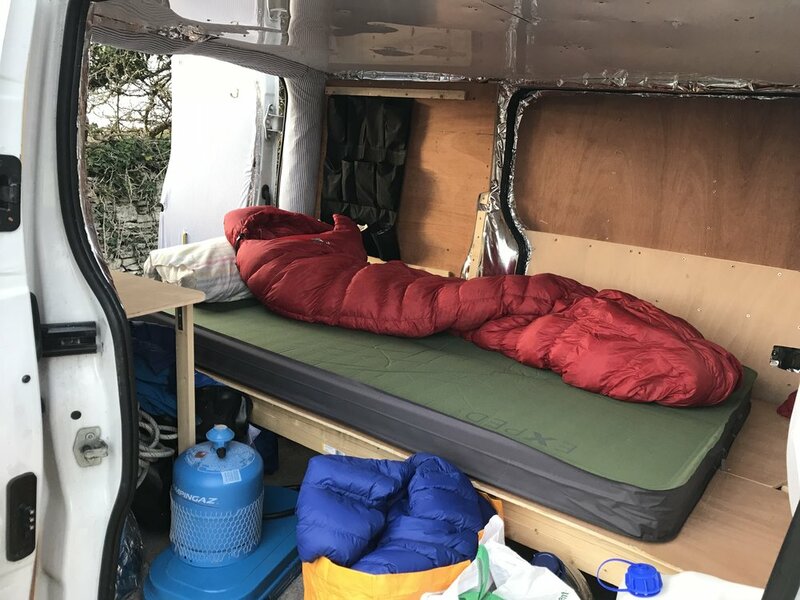 The mat is ideal for sleeping in your van, ‘car camping’ style trips, and even staying at your friend’s house! 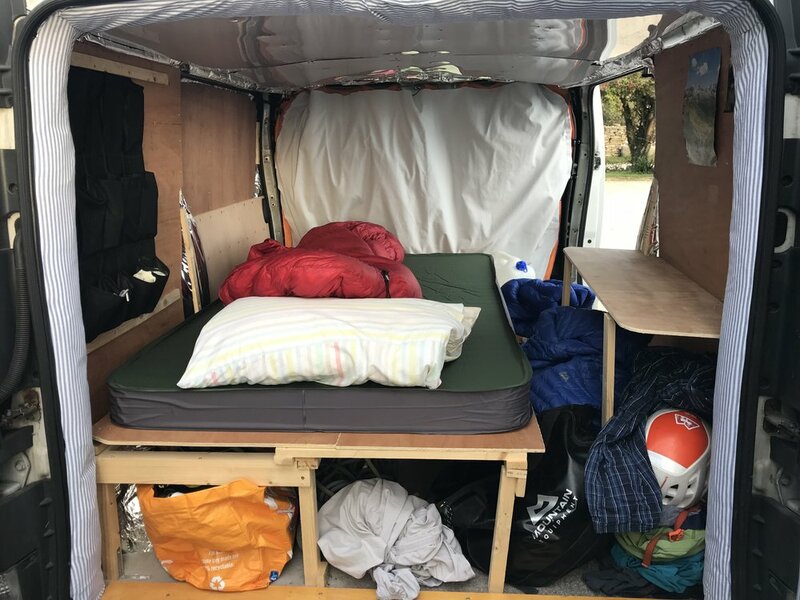 Because it can be deflated and stored away in it’s bag, it’s perfect for when you want to maximise space in your vehicle, and then inflate to a fully-sized comfortable bed. I leave my mat inflated in my van, and just turn it on it’s side during the day. The mat contains a single, flat piece of memory foam which has been cored out so it can be easily compressed. The top surface is also a soft, slightly stretchy material; underneath is a tougher fabric, which means you can put the mat on the grass around camp. It’s big enough for two people - Vic and I spent a week cruising round the North West of Scotland in August. It’s much better than having two separate mats which always slide, and the edges are vertical, so you won’t slip off the sides. The mat hasn’t deflated over time (a common problem with some mats, where the valve can slowly leak, or changes in air temperature can affect the inflation). I prefer the mat to be soft, but you can easily inflate it with the MiniPump provided. The perfect place to enjoy a sunset dinner. 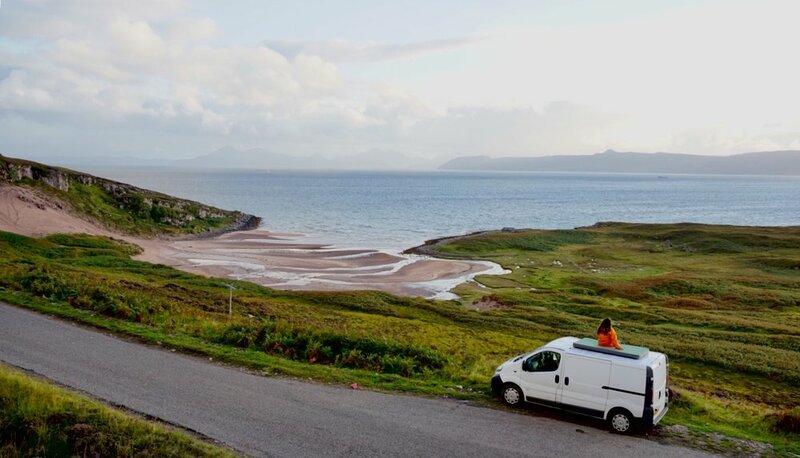 Applecross area, Scotland. The mat in ‘double bed’ mode. Excuse the basic setup in the van.